More skyscrapers were built last year than ever before, the result of a construction boom in China that shows few signs of slowing. A total of 128 towers measuring more than 200 metres were completed worldwide, compared with 106 in 2015, and China accounted for two thirds of them. 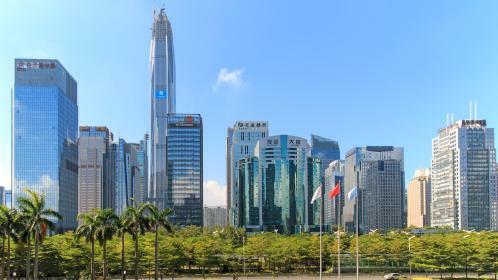 These included the tallest building of the year, the 530m-high Guangzhou CTF Finance Centre. More towers were built in the southeastern city of Shenzhen alone than in any other country. Although no skyscrapers were completed in the UK last year, work on a number of projects is under way. 22 Bishopsgate, a slab-like office block in the City of London, was briefly put on hold by its French developers after the Brexit vote but is now scheduled for completion in 2019. The financial district will get its tallest tower to date when 1 Undershaft is finished in 2020; at 304.94 metres, it is only marginally shorter than the Shard across the Thames, the UK’s tallest. Owen Street, a 66-storey, 200m block of flats in Manchester, will become the tallest building outside the capital when completed in 2018.